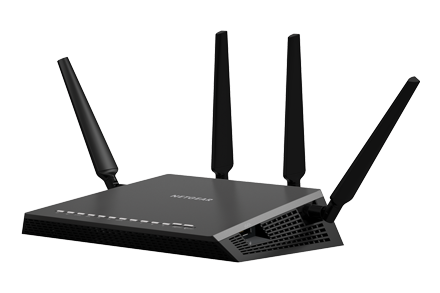 On of the features I really liked when I looked at the 7500 was the guest network, but I have to say that I’m a bit disappointed with how it works. So the guest network is a way for you to keep guests out of your internal network. Now if you are a (small) business and use the 7500 for your network and add a free guest network for your customers it will keep your stuff separate from the (curious) customers. It also prevent two guests from seeing each other – neat if you are a cafe and have want to help the unsecured (I assume most) guest from being able to seen by others on the network (granted, I have not looked at which level it prevent the access, but at least casual network discovery etc is blocked). Ok, so far so good. Now for me, at home. the guest network was thought as nice way to allow friends of my kids get their devices online when visiting. That also doable with the guest mode, but the problem is that if I want to let them see each other (allow them to play games together) then I would also have to allow them to see the rest of the network. That defeats the purpose of the guest network. So I wish there was a “let guests see its other” (and yes I realize that my son would need to move his device to the guest network when playing, that’s ok). It would have been cool if I could grant the guest network access to eg. the chromecast dongles. Now I know that they now have their own guest mode – so no need – but then the printer. It would have been great if there was a “allow guest to access this device” in the device list. Finally I wish that there actually was a VLAN ability. While I don’t really have a big need it’s such a small thing to add to the interfaces. Why not?